A magical clockworks metaphor, it’s a tightly wound time piece. Nocturnal wonderment. Transcendent love. Boundless imagination. 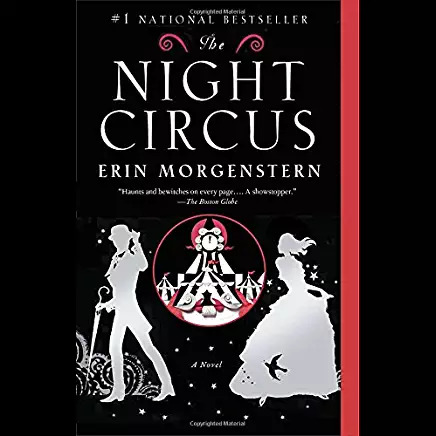 Morgenstern’s first novel is a tour de force. As you read it, and you must, pay close attention to chapter headings and dates. When I finally got the “Bailey” joke, I laughed out loud. Morgenstern writes with gorgeous detail about clothing design, décor, dance, architecture. Yes. Loved! This wonderful story draws you up the gangplank of the Oronsay as it sets sail from Ceylon and engrosses until it docks in England in the 1950’s. Three young boys form a tight trio of cast-offs, members of a remote table of secretive passengers adrift in their respective worlds. I’m no fan of cats. But the cats v. dogs metaphor is subtle and beautifully intertwined in story lines portrayed against the dominant backdrop of the ship’s intrigues. A voyage from childhood’s unencumbered innocence to muddled adult memories crashes on the rocks of atonement and forgiveness. 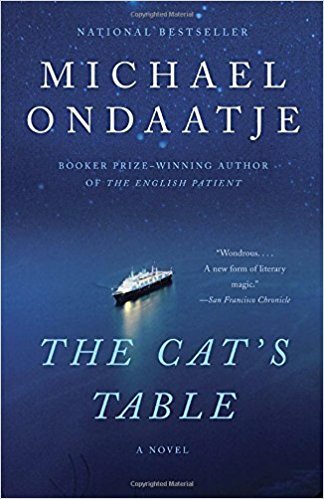 Ondaatje’s the writer in this cubistic reminiscence. 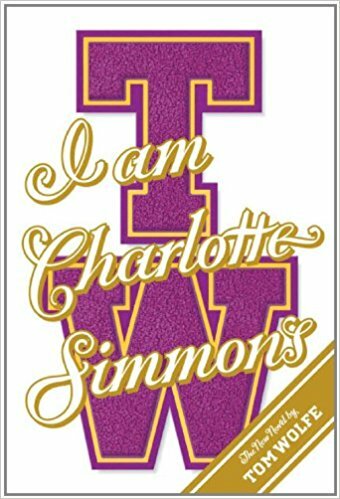 Every time there is another scandal about bad behavior by sports players at jock-centric universities, this book comes to mind. It is timeless in its depiction of the corruption and greed so epidemic in the culture. Period piece set in New Zealand during its 1860’s gold rush. That was not the lure. Yet, once I read the first few paragraphs, I was hooked. Do you usually skim the descriptive passages? Not here. 13 men form a coalition of truth. 3 women matter. An historical magical mystery tour. Life as astrological illusion. Transported. Steampunk as a subgenre of fiction. 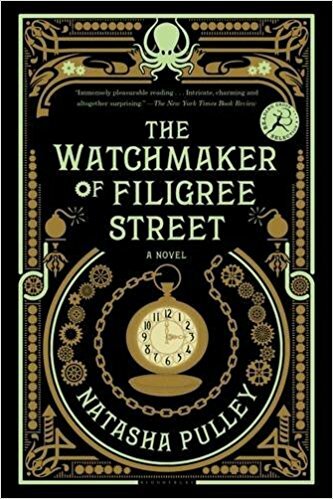 Fantasy in a Victorian setting, using components of steam powered machinery to bend time and place. Until I read reviews, I’d never heard of it. 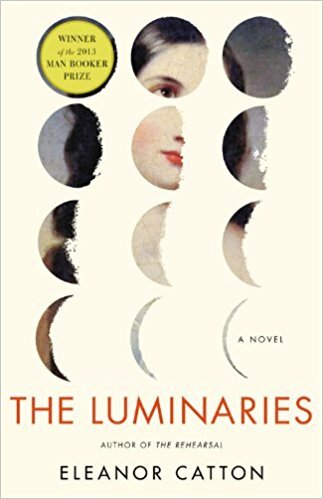 Despite a lack of context of the literary genre, I loved this novel. Clockworks attract my fascination. Mori, a former Japanese Samurai turned watchmaker in Knightsbridge, London came to life. His relationship with Thaniel, a boring clerk, was real and endearing. His world of future telling and incendiary events captivates. Oxford physicist shakes the fantastical octopus. Different. Unforgettable. In a poignant and important memoir, J.D. 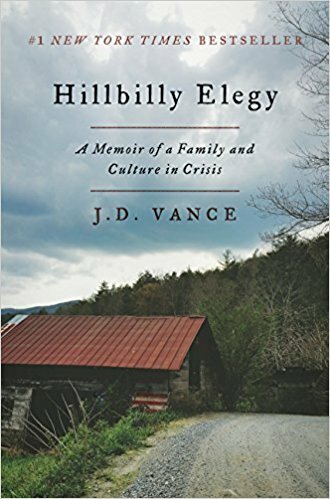 Vance tells the story of his Appalachian white working-class life in the context of 2016’s angry crude political mood. Futility is the focus in a tale of the generational subculture of poverty made worse by addiction and abuse. Like Glass Castle and Blood Bones & Butter, Hillbilly Elegy portrays individual triumph over family dysfunction beyond belief. In Vance’s case he makes the miraculous climb to become a Marine, Ohio State grad, Yale Law scholar. Even with all of that, he cannot escape his roots. They remain current in his struggle to overcome bouts of ire at the bleak prospects left to the kin, classmates and community he left behind. Add drug epidemic to the scene as in every small town America today. It puts into sharp focus the reasons for the election year’s desperate yearning for change. And why Trump won. 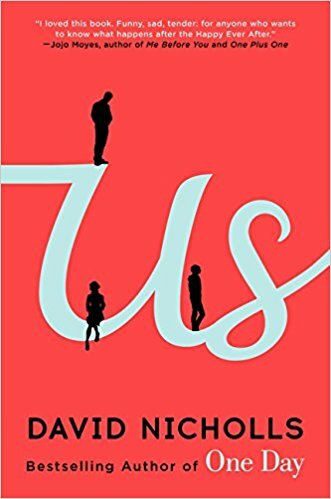 This novel paints a portrait of a modern English family that hit the heart without being maudlin or sappy. A couple gets together for all the wrong yet right reasons at the time. They endure so much and find a kind of love over 20 years. Their son is the cistern that collects all of the runoff and deals with it the best he can. A spare style brilliantly intertwining stories that culminate in the summer of very questionable choices, but make sense in the end. It is laugh out loud funny. But, never cry out loud sad. Perfect. A playful satire of the Man Booker literary prize commitee’s corrupt politics. 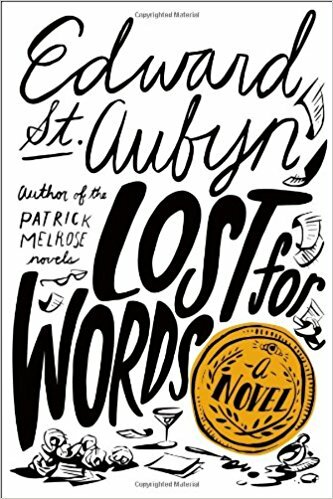 As a short-lister himself, St. Aubyn takes aim at the process. The novel weaves the stories of fictional 2013 judges and candidates of the “Elysian Prize”, which is of course sponsored by Shanghai Global Assets. Capitalism gobbles art. On every page, St. Aubyn turns a phrase with precision and scandal. He creates passages from each author’s works that parody every modern genre of the day. The ironic twist of fate takes the cake. You can see it coming, but it doesn’t matter. The fun is in the reading. A ludic masterpiece. Nothing can prepare for the journey designed by Flynn’s cleverly structured story. It is anything but a formulaic plot. Well-developed real characters. Everyone can relate to many aspects of this couple’s relationship. But, hopefully not everything. They take it to a new level of complication. Hyperbole? Yes. It leaves the reader with a conflicted reaction to these two people. A legal mystery that gut-wrenchingly explores nature vs. nurture. An horrific family crisis turns blithe normalcy into a twisted tempest of contempt, blame, guilt. A 35-year marriage changes in a day. Regrets. Redemption? Compelling. Mantel takes us inside Thomas Cromwell and his mature macro worldly view. She changes Cromwell’s voice from first to third to omniscient with a literary facility that transcends tense and time. In doing so, she reduces Henry VIII and the English aristocracy to parochial, debauched, naive pawns. Rings true. An homage to the Victorian novel. Taylor deftly conjures the genre. He defies any period in his portrayal of Rebecca, the central female figure. She is the epitome of enigmatic evil. Delicious. More Hardy than Thackeray, Taylor paints bleak Lincolnshire countryside mist or decrepit Fitzrovia alley blight with a finer brush than Belgrave Square’s West End Society. Runner-up for 2010 Man Booker Prize it’s 900 pages of twisted wonderland starring a wicked mother. The Carroll-esque maze of subterranean tales is interspersed with dysfunctional family drama in pre-WWI England. Byatt gets mired a bit in social, political, artistic mores of the day. Yet it’s a captivating sojourn for long sultry summer nights under the porch light. Written by a man, the narrator is decidedly feminine. Disconcerting in a good way. New York-phillic, it’s an architectural nod to the landmarks and real estate in their heyday. A slice of late-30’s Village, Jazz, Upper Manhattan Swell Scene. Sparkling twenty-something lives; some that fade with time, others shine. Longed for more Evie, Valentine. Decades don’t diminish the sequel from the original. Russo has a gift of transporting readers into the everyday life of Americana’s forgotten towns. Main Street, the diner, the tavern as familiar as those of everyman’s childhood home. He creates characters with such depth that they become friends. Their particular speaking styles, idiosyncratic habits, unlikely relationships. The sequel’s Raymer and Charice are not as endearing as Sully, Ruth, Rub, Beryl, Carl. But. As with his Empire Falls and Bridge of Sighs. It’s hard to let any of them go.